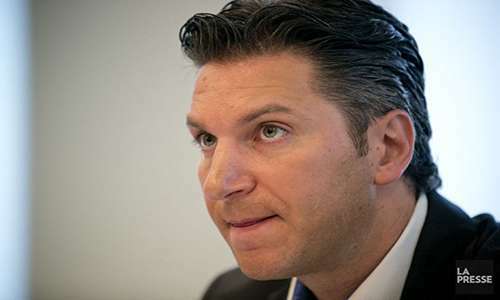 Former Amaya, Inc. CEO David Baazov has ended his independent bid to take the parent company of world online-poker market leader PokerStars private, according to a brief statement released by the company earlier today. 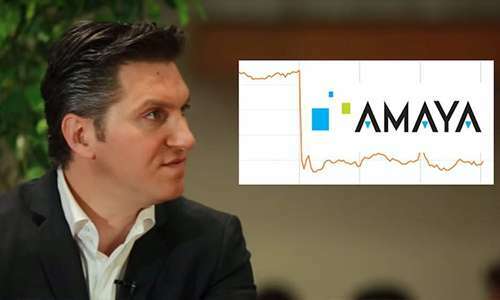 “Amaya Inc. (NASDAQ: AYA; TSX: AYA) confirmed today that discussions with its former Chief Executive Officer, David Baazov, regarding the offer to acquire Amaya by an entity to be formed, have terminated,” went the complete text of the Amaya bulletin, without additional comment. Baazov himself issued a separate statement confirming the end of the possible deal. “It became evident that the share price premium demanded by certain shareholders exceeded the price at which my investors and I would be willing to complete a transaction,” he said. The blind reference to “certain shareholders” appears to be a swipe at one of Amaya’s minority shareholders, New York-based Jason Ader’s SpringOwl Asset Management investment group. Ader recently took both Baazov and Amaya to task for considering such a deal, especially in light of the recent problems with Baazov’s bid and with Baazov’s ongoing legal issues. Ader also recently suggested that Baazov’s shares be held in trust by Amaya, then ultimately sold as a means to sever all of Baazov’s remaining ties with the company Baazov used to head. Baazov still owns more than a sixth of the company (17.2%), making him Amaya’s second-largest individual shareholder. Baazov also has strong, long-held business ties with most of Amaya’s other leading shareholders, meaning that any future financial divorce is likely to be messy. Baazov remains embroiled in an insider-trading scandal surrounding his behind-the-scenes financial deals while at Amaya. That trial, on charges brought by Quebec securities regulators earlier this year, is currently ongoing. Among prosecutors’ most recent allegations in the case that was brought against Baazov and several close business associates is that Baazov used a “front” to conduct some of the alleged insider trading. Baazov’s attorney fired back at the AMF, claiming no specifics about such claims have been provided to date. Amaya’s share price was jolted in early trading by the announcement, dropping roughly 7%, but by the end of day had recovered nearly all of that loss. Down only 1.38% on the day, the roller-coaster’s near return to its earlier level north of USD $14 (about CAD $19) showed that the market had already largely discounted the prospect of Baazov’s bid attempt becoming successful. That bid, officially for CAD $24, or about a 30 percent premium over Amaya’s current share range, was a highly-leveraged, debt-laden offer that Ader and other corporate shareowners considered too risky. Even the overall value of the deal was highly subjective, ranging from CAD $4.7 billion to $6.7 billion, depending on whether the cash portion and the debt were both included. While Baazov’s brief statement sought to demonize the dissenting shareholders, the larger fact remains that a significant portion of Amaya’s ownership — far more than just Ader’s 5% — likely found the deal too dicey. It remains to be seen whether Baazov will regroup and target a different online gaming company, assuming he and Amaya eventually and totally part company. Baazov appears to have maintained his close relationships with the two Chinese investment groups, Head and Shoulders Global Investment Fund SPC and Goldenway Capital SPC, that backed his failed bid for Amaya.